What is the new CSA Z1007 Hearing Loss Prevention Program Management (HLPP) and what does it address? impact the safety, environment, global economy and foster wider acceptance and adoption of new or innovative technologies. Volunteer experts from industry, governments, academia, regulators and consumers contribute to make standards work for people and business. 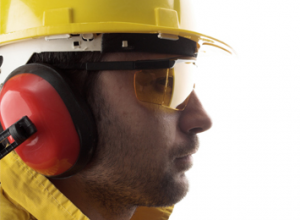 With workers in many occupational sectors being exposed to high levels of occupational noise it was critically important to identify these hazardous situations and implement preventative measures to help protect the hearing of workers. CSA Z1007 – Hearing loss prevention program (HLPP) management is the first in a series of standards on occupational noise control to help address these potential concerns to worker health and safety. It covers all aspects of the creation and management of hearing loss prevention programs. “The idea is to make them knowledgeable managers of hearing loss prevention programs,” explained Jeffrey Goldberg – Custom Protect Ear / chair of the technical committee, on May 1 at Partners in Prevention, an occupational health and safety conference. To reduce the incidence of NIHL Z1007 needed to target both the knowledgeable and uninformed Manager and in order to be effective needed to be referenced in regulation by the Jurisdictions in Canada. Long-term exposure to noise can result in both hearing loss and stress-related illness. In addition, noise can interfere with critical communications and warning signals. Is Hearing Acuity a Fit for Duty criteria? If it isn’t, how do you keep people safe? Transient, Temporary, and Short Term Workers need to be covered – How do we do that? Is this the employer’s responsibility? Is this the regulators responsibility?